My name is Riath Hamed and I’m obsessed with seeking out the finest raw honey in the world. Follow my journey to all corners of the globe and hear amazing stories direct from the beekeepers who supply Balqees honey. Find out what you should look for in raw honey, how to tell the real thing, many uses that might surprise you, recipes, serving suggestions and pretty much everything you want to know about raw honey. My current home is in Dubai, United Arab Emirates and when I moved here from the UK, I was frustrated that I couldn’t find the beautiful, raw Yemeni honey that I’d grown up tasting as the child of parents from Yemen. Genuine raw honey is also a superfood with some really miraculous properties as well as a whole range of beautiful flavours and textures. 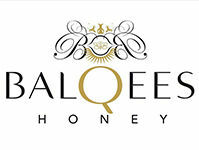 I set up Balqees to enable more people to experience the best, raw honey harvested by beekeepers who are committed to traditional, sustainable practices, and work with nature with respect. ‘Honey’ on the supermarket shelves, often labelled as ‘natural’ and pure, is anything but. It undergoes heat-treatment and micro-filtration so suit travel and storage, so the goodness is destroyed making it little more than honey-flavoured sugar syrup (indeed some honey has this mixed in). My aim is to educate and spread the word about the real thing – pure, raw honey direct from the hives to the jar. If you have any questions, please drop me a line in the comments (or just to say hello). You can find me on Instagram as @honeyexplorer. It’s great to connect with other lovers of raw honey.